PICTURE BY SUMMER REID/GLEANER NEWS: The province has forgiven a significant portion of its loan to the Royal Conservatory of Music. Toronto City Council designated the 1.5-kilometre stretch along Bloor Street from Bay to Bathurst streets as a cultural corridor last month, just as the province forgave a significant portion of a loan it had granted to one of the arts organizations that make up the group that had formed to seek the coveted official designation. It’s the first successful application initiated by such a group; past designations have been largely driven by city staff. Formed nearly three years ago, the Bloor Street Cultural Partnership is a loose informal promotional consortium made up of 19 arts organizations located on and near Bloor Street like the Royal Ontario Museum, the Royal Conservatory of Music (RCM), the Miles Nadal JCC, and the Native Canadian Cultural Centre. According to Heather Kelly, the founder and director of the partnership, the organizations collectively host three million patrons and generate more than $629.5 million in economic impact annually, as well as employ 5,500 people. “This designation is a milestone in recognizing that we live in such a culturally rich area,” said Kelly. Although the corridor designation doesn’t come with any city funding, Norm Kelly (Ward 40, Scarborough-Agincourt), who spoke at the Economic Development and Culture Committee meeting in support of the designation, suggested the corridor not be shy about asking for financial support from the city. Indeed, the RCM might be the first to come knocking. Reports surfaced last month that the province had released the music institution from its obligation to repay a portion of its outstanding debt to the province. “The RCM is an employer, a gathering place, and a place to learn. I’m pleased that we were able to reach an agreement that will ensure the RCM will be able to benefit our musicians and future generations,” said Han Dong (MPP, Trinity-Spadina), who confirmed that a deal had been made but was unable to talk specifics. The conservatory was one of the first high-profile arts institutions to benefit from a broadening in eligibility for loans from Infrastructure Ontario (IO) in 2007. 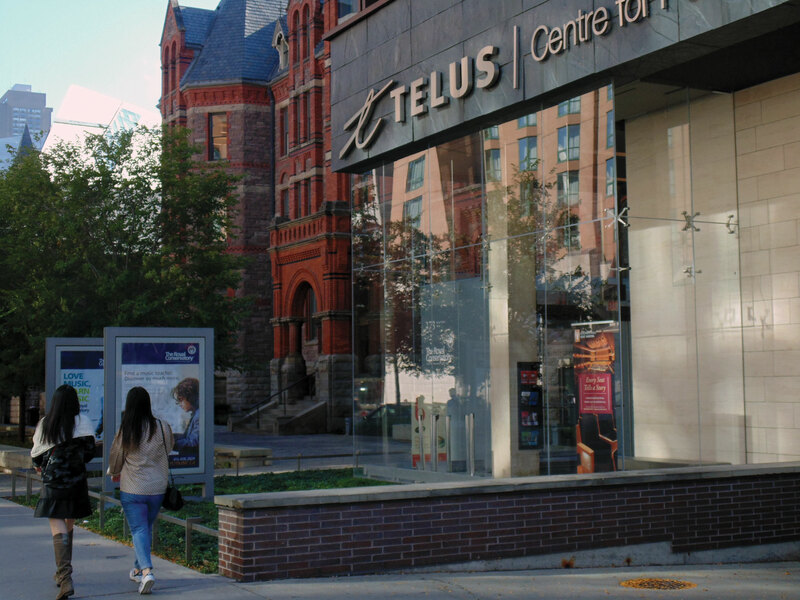 The RCM took out the loan to meet costs related to the construction of the Telus Centre for Performance and Learning. Completed in 2009, the project included a renovation of the historical Ihnatowycz Hall, as well as Mazzoleni Concert Hall and Koerner Hall, which is known for its superb acoustics and regularly hosts international artists at its performance space. Over 500,000 people benefit from the conservatory’s facilities annually, making it an integral part of the province’s and city’s cultural sector. Neither IO nor the RCM would speak publicly about the details of the agreement, displaying a troubling lack of transparency. It’s particularly surprising given how hard the conservatory has publicly lobbied the province for debt relief, claiming that its loan payments were threatening its ability to provide a full range of programming. The conservatory had expected to augment the loan with revenue from donations; however, as the Ontario Auditor General wrote in her 2014 report, fundraising has “fallen below expectations”. Although the RCM would not release copies of its audited statements, mandatory filings with the Canada Revenue Agency put the loan principal at $52 million as of September 2016, and suggest the conservatory paid $4.5 million in 2015 to service its debt. “Our government understands the importance of Ontario’s culture sector and is proud to provide strategic support to drive cultural innovation, create jobs, and grow our economy,” wrote Katrina Kim, press secretary to Bob Chiarelli (MPP, Ottawa West-Nepean) and the Minister of Infrastructure, in an email. RCM president Peter Simon is also refusing to talk about the deal and how recent announcements of major donations to the RCM might relate, if at all. On Oct. 5, it announced two donations of more than $5 million, from Michael and Sonja Koerner and James and Louise Temerty. Michael Koerner is the institution’s chancellor, while James Temerty is one of its four directors.